Concept design, refinement and HTML/CSS markup for this web site. One unique feature of this web site is a separate Safety section that is password protected. 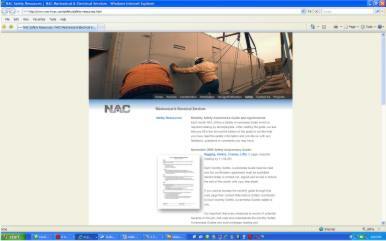 This section is only for NAC employees and provides safety information.